SETLS started out in 2014 when Melissa joined her local toy library committee. She was in charge of the Saturday sessions several times and was deeply frustrated with the existing software experience: a limited set of functions, names of toys and people were not hyperlinked, and there were no graphs of any kind. She decided to create a modern, powerful, user-friendly software system that could deliver so many benefits including being cloud-based, having an automated email reminder system, providing useful statistics and generally saving time. A few toy libraries had faith in SETLS and trialled the system in 2014 and continue to use it to this day. SETLS has grown from just a handfull of toy libraries to over 45 toy libraries, resource centres and special needs resource libraries in Australia, the UK, Malaysia and New Zealand. We strongly believe that toy libraries deserve great software- making them just as viable and ubiquitous as book libraries. Melissa has a PhD in theoretical quantum mechanics and works as a software developer in Science I.T. Melissa considers herself an environmentalist and is a parent of two young children. Toy libraries are one of her favourite community organisations. She has also been a committee member and active volunteer of her local toy library (Collingwood Toy Library) for more than three years. 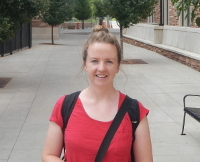 Rebecca works as a bioinformatics software developer and is very interested in data science and data visualisation. Rebecca previously created the SETLS website in 2014 and the instructional manual for SETLS administrators in 2015. 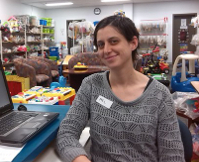 She is the mother of a three year old and is a member at Kew Toy Library. 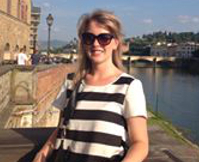 Teresa is a technical lead for a food manufacturing company. She has worked in IT as a business analyst, consultant and advisor for the past 8 years for some of Australia's biggest companies. In addition, Teresa has completed courses on iOS App development and worked as a web developer in her spare time.